To keep his clan together and his skin intact, Julius is going to have to find a way to make his bloodthirsty siblings play fair. But there's more going on in Heartstriker Mountain than politics. Every family has its secrets, but the skeletons in Bethesda's closet are dragon sized, and with Algonquin's war looming over them all, breaking his clan wide open might just be the only hope Julius has of saving it. 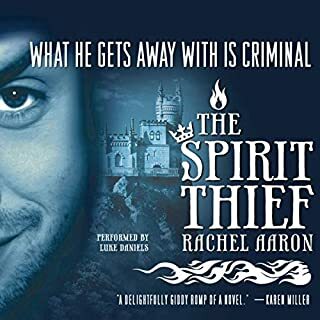 ©2016 Rachel Aaron (P)2016 Audible, Inc.
because there are so many amazing twists in this book, you will be holding onto each word. Beautiful performance by Vikas Adam, as usual. Every character is distinctly different, which is great because Rachel introduces us to more of the Heartstriker clan. If you thought that presidential elections were stressful, just try to get a bunch of dragons to elect their new clan representative. Poor Julius just wants everyone to stop trying to kill each other. I loved this book and I am biting my nails until the next one releases! Please, Bob, tell me when that will be! Please focus on the sequel and write away. Listening to this had me so giddy. I found myself relating to almost every character, which surprised me. Felt so many things, in so many ways. I took off work, put my headphones on and listened. A day later.. I found myself listening to the epilogue verbally and physically cheering. Sometimes when a story has a lot of action there is a dearth of character development. That's not the case with this story. Lots of suspense and surprises. The characters were great; intelligent, compassionate, conniving and wonderfully quirky. The narration was great. Each voice was separate and believable with great inflection and pacing. I can't wait for the next book. Marci is the queen of exposition. She exists just so things can be explained to us readers/listeners through her. And that made me want to skip over some of her very long scenes. There was just too much talking, too much unnecessary explaining. Julius is just as bad. "No. We can't keep killing each other. We have love and sing campfire songs and be one big happy family..." or something along those lines. We've listened to him preach in book one. We listened even more in book 2. Now, I'm tired of hearing it. I'm so tired of hearing it. It was very annoying. Chelsea. Chelsea. Chelsea. I've adored her since she first stepped out of the shadows in book 1, I adore her even more now. And her secret? Oh her secret! Mannnnnn!!! That is a secret I can't WAIT to be revealed. And Bob and Amelia T_T. And Chelsea. I knew the ending was going to happen from the very beginning. What I wanted was for Julius to connect those dots. But he didn't. He's too nice to pry. And too blinded in a rage that was all things glorious and draconic and wonderful that brought tears to my eyes and damn you Chelsea from stepping in. 3 stars for the story. Too much exposition and Julius repeating the same thing. And to be perfectly honest, everything was predictable. The secret. The ending. Marci. What the new characters would do. All predictable. 4 stars overall, because the next book is gonna be awesome!!!!! 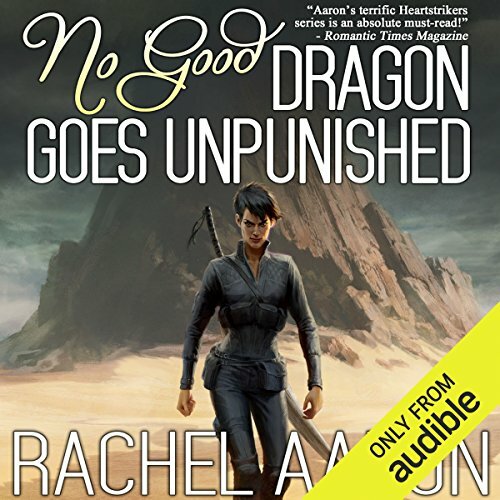 Would you listen to No Good Dragon Goes Unpunished again? Why? 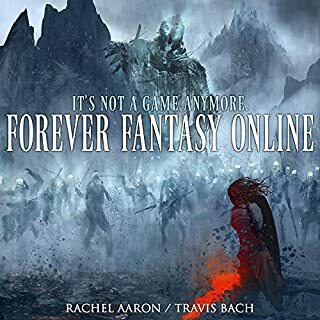 Yes, because Rachel is an amazing author and clearly pours her love into her books! The narrator does a great job as well. What was one of the most memorable moments of No Good Dragon Goes Unpunished? I absolutely adore this series. Yes, this book doesn't provide any resolution, but it is third in a five part series (still waiting on the last two!!) so that is somewhat expected. I loved every minute of it, and have even gone back and relistened to pieces. Vikas Adam's performance is unparalleled. A full-cast production would be hard-pressed to equal, let alone surpass his exquisite narration. Anxiously awaiting the next book! Fantastic! I enjoyed book three so much that I cannot wait for book four. Julius has done what he wanted to do for his clan . The action was so tensed that I could not even stop for anything!! Brilliant writer. Vikas Adam performed superbly. The emotions and tension were all there . Excellent narrator. 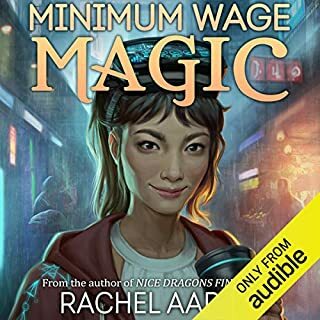 I hope Rachel Aaron will quickly publish book four. This book leaves a lot of interesting/tantalizing questions open. I hope she writes even faster so we can have the next in the series! Vikas Adam is phenomenal as usual! I'm pleasantly surprised that I have enjoyed each of the three books in this series equally and look forward to the author being able to keep up the quality. very enjoyable reading. A great combination of fantastic narration - or performance - and writing. The characters are given even more depth. I really enjoyed the entertainment this book provided. Vikas Adam! A truly great narration. Adam has a soft pleasant voice. That alone makes me like him as a narrator. Add to that his ability to create VERY different (and believable) voices, male and female, as well as accents. Even the characters different emotions, demeanour, status and to whom he/she is speaking at the moment changes subtly. Masterful! The book itself then? A bit darker than the previous ones. A bit thinner on humor. A lot richer in tension. Some major changes in the storyline (and more to come obviously). Most of them for the better. The story base (and list of interesting characters) gets a LOT wider, making for rich and exciting books to come. A great book in it's own right, but perhaps even better as a setup for books to come. I often gripe about books not being self contained enough. Not this time! I liked it immensely. This 2nd book was a disappointment, so I was sceptical about this book in the series. It was a great listen, with great characters great story, and another great narrator. 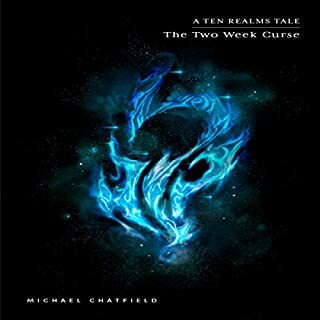 I would recommend this to anyone who likes fantasy or dragons. I,ll be listening to the rest of the series. 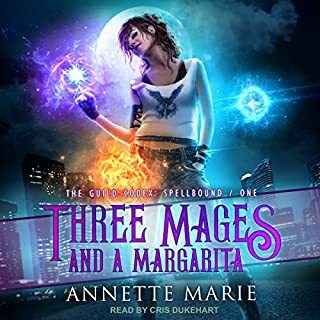 I love it, got frustrated with Julius' do gooding at times but by far the best audio series I have come across, spell binding, twists, plots and pathos..wonderful stuff! 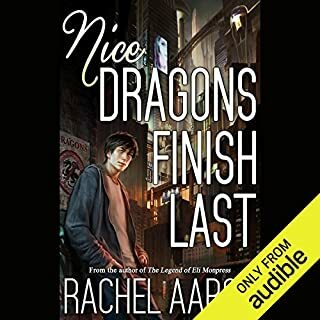 Vicas Adams' performance in this audio book was exceptional - he does well to bring the characters and their stories to life. absolutely loved it. great storyline. dragons and magic in the modern era. unique powerful and imaginative. narrator does a great job with female voices. can't wait for the next in the series!! This series continues to deliver with plot twists and character development. Julius and Marci are apart in this book a lot more and not everything goes well. A super series and I'm very much looking forward to the next book.